High atop the city is a blue-gray landscape, one that often goes unnoticed. Like waves in the ocean, it extends as far as the eye can see. Twenty meters up, where the sound of the wind meets the blue of the sky, lie the zinc rooftops of Paris –– uniquely beautiful, uniquely structured, and uniquely Parisian. 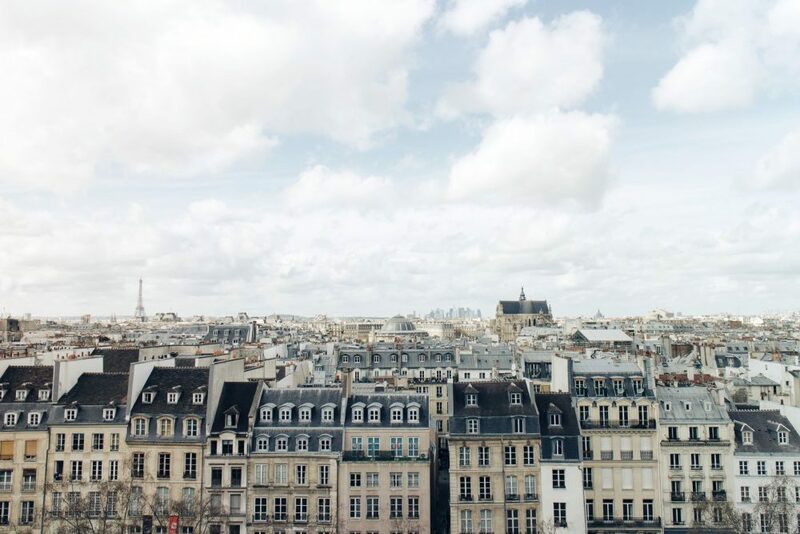 These iconic rooftops are part of the city’s heritage and date back to the 1800s when Baron Georges-Eugène Haussmann was chosen by Emperor Napoleon III to carry out a massive urban renewal program in Paris. In addition to widening boulevards, developing parks, and creating tree-lined avenues, Haussmann added the distinctive zinc rooftops. Lightweight yet sturdy, the zinc rooftops have become as much a part of the city as the Eiffel Tower or the Louvre. Their varying shades of gray, from light to blue-gray to steel, tell the story of when each roof was built (the darker the gray the older the roof), and they often provide a stunning backdrop for movies, photographs, and paintings. Now, there’s an effort underway to give these rooftops Unesco World Heritage status. However, the process is a long one and it could be years before the international organization makes a decision. In the meantime, the French government has called the zinc rooftops a priceless cultural asset –– and to that we add a brilliant work of art, high above the City of Lights.